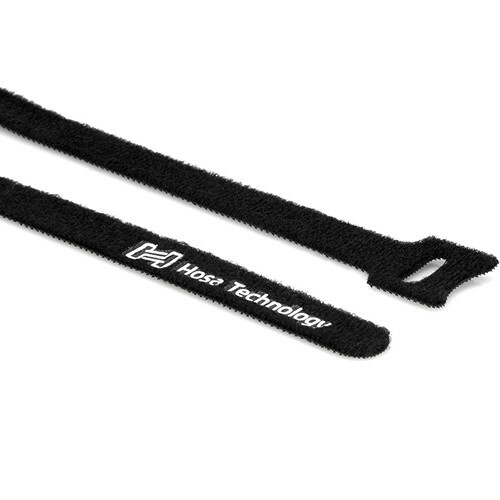 The black, 50-pack of WTI-508 Hook & Loop Cable Ties 0.5 x 8" from Hosa Technology are designed to keep signal and power cables separated and kink free. They are also suitable for coiling cables when not in use. Cable ties help prevent shorts that result in intermittent or lost signals. They reduce frayed shielding that can result from stepped on cables, which can lead to increased hum and noise. Cable ties help to preserve the shape of the wire for accurate signal transmission. Box Dimensions (LxWxH) 8.11 x 4.173 x 0.472"
WTI-508 Hook & Loop Cable Ties 0.5 x 8" (Black, 50-Pack) is rated 5.0 out of 5 by 3. Rated 5 out of 5 by Damon from Must Have Product This is an absolute must have product for everyone. Doesn't matter if you are a photographer, an A/V professional, or even an interior designer.? We own a media company (E3xtreme) and are always a mess when it comes to USB, Phone Cables, Computer cables etc and needed something to get organized. Once this arrived it was a night and day difference in the space that was taken up and the ability to have everything organized.? Don't even hesitate, just order these and you will end up asking yourself why you didn't get these sooner. Rated 5 out of 5 by Anonymous from Great Great quality for the quantity/price. Just big enough to fit on your average power cord (such as a computer power cord) comfortably.? Good grip.